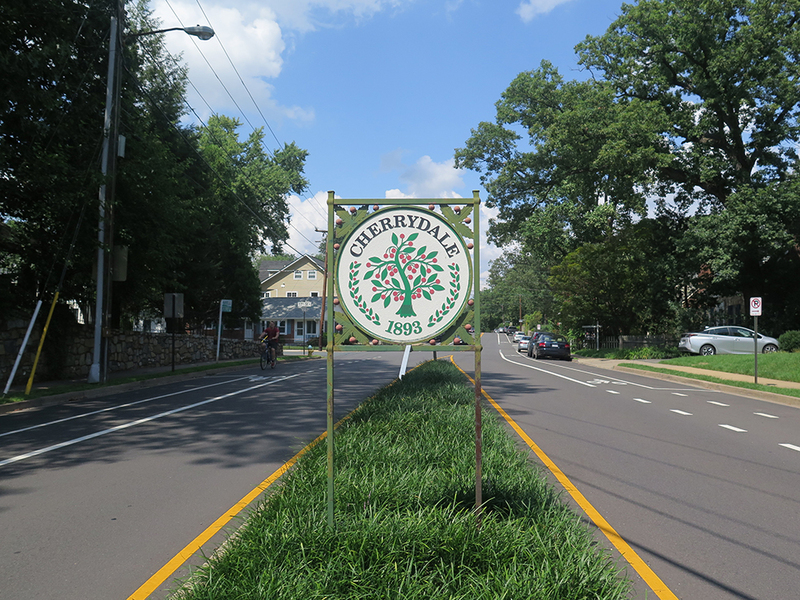 Located in the heart of northern Arlington, Cherrydale is a charming neighborhood noted for both its history and its small-town feel. It’s characterized by quiet streets lined with huge old trees and well maintained single-family homes, many of them historic bungalows dating back to the late 1800s and early 1900s. It’s also home to the Cherrydale Volunteer Fire House, built in 1919, once home to Arlington’s first volunteer fire department. Cherrydale is centered around the intersection known as the Five Points that includes Quincy Street, Military Road, Old Dominion Road and Lee Highway. There are some townhomes, a senior apartment building and two large condo/apartment buildings, but the community is primarily comprised of single-family homes. Cherrydale is centered around the intersection known as the FIve Points, consisting of Quincy Street, Military Road, Old Dominion Road and Lee Highway. 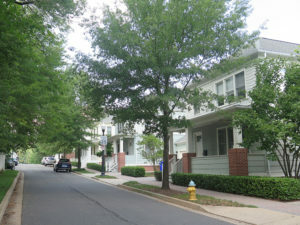 The neighborhood is primarily comprised of single-family homes, although there are some townhomes and apartment buildings as well. In the late 19th century, Cherrydale began to shift from a rural agricultural crossroads into a residential community with a commercial corridor. The relocation of the Alexandria County Courthouse to Arlington in 1898 and the establishment of a commuter railroad in 1906 initiated a period of rapid residential and commercial development in the neighborhood. For the next 50 years, large tracts of land in Cherrydale were subdivided into a series of residential developments of varying sizes. Cherrydale’s commercial corridor is generally confined to Lee Highway. 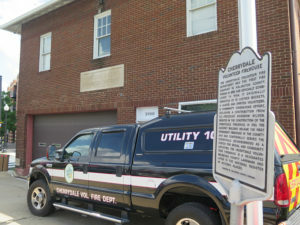 In April 1995, the County Board established a Special Revitalization District for the Cherrydale commercial area along Lee Highway. This was an effort to revitalize the area’s image and encourage the continuation of existing businesses in a manner compatible with the overall character of the surrounding residential neighborhoods.